"It is our distinct pleasure to announce the official launch of the new Ocean Science and Engineering graduate program at Georgia Tech in the Fall of 2016, and to welcome the first group of applicants that will start in the Fall of 2017. A sincere thank you to Dr. Susan Cozzens Vice Provost for Graduate Education, the Deans of the College of Sciences Dr. Paul Goldbart and College of Engineering Dr. Gary May, and the GT leadership team for all their support and encouragement throughout this long approval process. Finally, a special thanks to the OSE Faculty who have been showing up at the planning meetings and expressed support at every turn. We are excited to get started!" 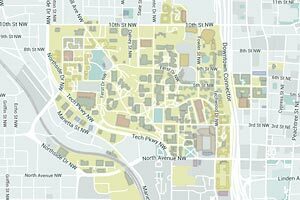 The program in Ocean Science and Engineering (OSE) begun in 2014 when a group of faculty from the schools of Biological Sciences (BIOL), Civil and Environmental Engineering (CEE) and Earth & Atmospheric Sciences (EAS) gathered to coordinate and integrate the ongoing research on ocean systems at Georgia Tech. By the Spring of 2015, a prospectus for the new program was approved from the Board of Regents (BOR) of the University of Georgia, and by the end of Fall 2015 a full proposal for a new Ph.D. degree in Ocean Science and Engineering was approved by the Institute Graduate Study Committee at Georgia Tech. In the Spring of 2016 the final proposal was submitted to the BOR and approved formally on October 12, 2016, which is the official launch date for OSE. The mission of the graduate program in Ocean Science & Engineering is to educate the next generation of transdisciplinary ocean scientists and engineers by combining the basic and applied sciences with innovative ocean technologies, and to advance interdisciplinary research at the frontiers of the physical, biological, chemical and human dimensions of ocean systems. The OSE program provides increased recognition for Ocean Sciences at GT, leveraging the strength and recognition of GT as a leader in engineering, and coinciding with an ongoing expansion in the life sciences highlighted in the GT’s strategic plan. OSE emphasizes innovative holistic and transdisciplinary research involving the interactions of the ocean physical/biological/chemical systems and human-induced perturbations, ranging from climate change to coastal developments, from ocean energy to sea-level rise to its local and global potential consequences. Bridging across time- and spatial-scales the OSE program will also provide an integrative, multi-scale training for the new generations of scientists and engineers in areas that will bridge and encompass traditional disciplines. The need for integrated ocean solutions and technologies in the US and internationally is on the rise, especially in the coastal areas where the human pressures are fast growing and expected to reach critical capacity by the end of this century. The transdisciplinary focus of the OSE program aims at developing these new integrated solutions and technologies by leveraging the basic discoveries across the interface of the ocean sciences and engineering. The research foci of the OSE program are centered around solving grand challenges in the areas of ocean energy (CEE, EAS), ocean & climate change (CEE, EAS, BIO), ocean modeling and prediction systems (CEE, EAS), coastal ocean hazards (CEE, EAS), ocean observing technology (CEE, EAS, BIO), marine ecosystem dynamics & services (EAS, BIO, CEE), marine chemical ecology (EAS, BIO), global and regional ocean biogeochemistry, including nutrient and carbon cycling, and ocean acidification and hypoxia (EAS, BIO). One of the goals of the OSE program is to train the next generation of ocean experts to meet the demands of a growing job market in academia, government and industry. The OSE leadership aims at developing strategic internship for students, and research partnerships with both public and private sectors, to facilitate the transitions of the OSE students from graduate research to problem solving of modern challenges concerning a sustainable development of ocean resources. These efforts create a culture of entrepreneurship and social awareness in both OSE students and faculty, which advances the GT strategic goal of “Ensuring That Innovation, Entrepreneurship, and Public Service Are Fundamental Characteristics of Our Graduates”. Fall 2013: GT faculty gather at Skidway Institution of Oceanography to discuss the scope of ocean research at Georgia Tech. 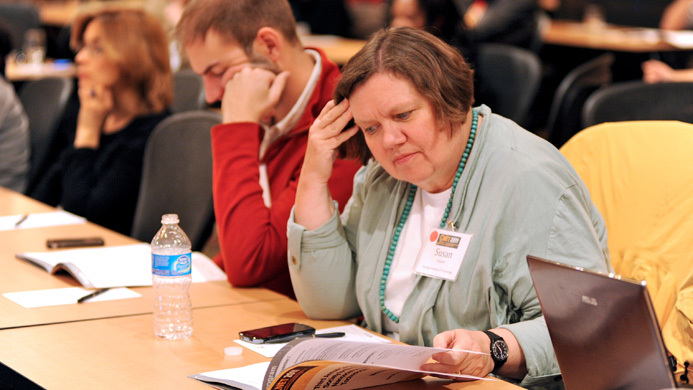 Fall 2014: The prospectus for the OSE program is approved by GT’s graduate curriculum committee with the support of Vice Provost Dr. Susan Cozzens. 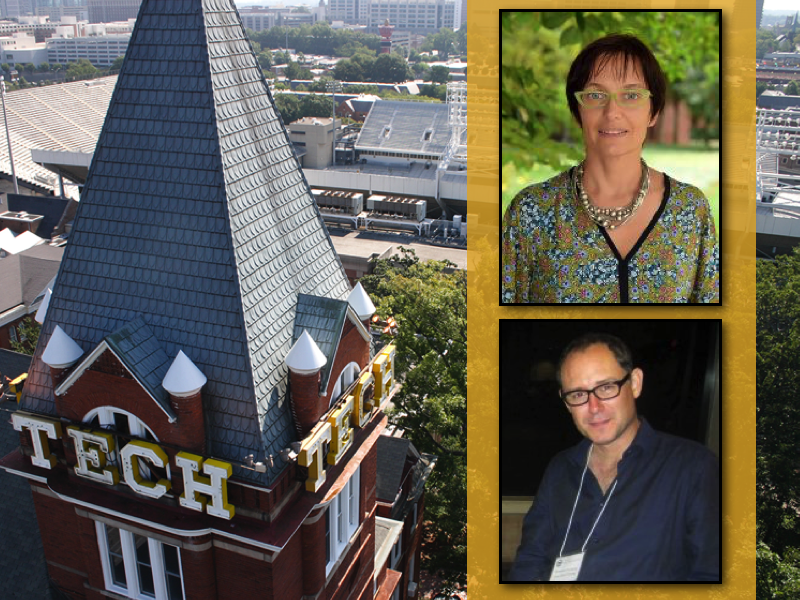 Fall 2015: The OSE steering committee coordinated by Dr. Emanuele Di Lorenzo and Dr. Annalisa Bracco go through the final approval of the OSE program at Georgia Tech. 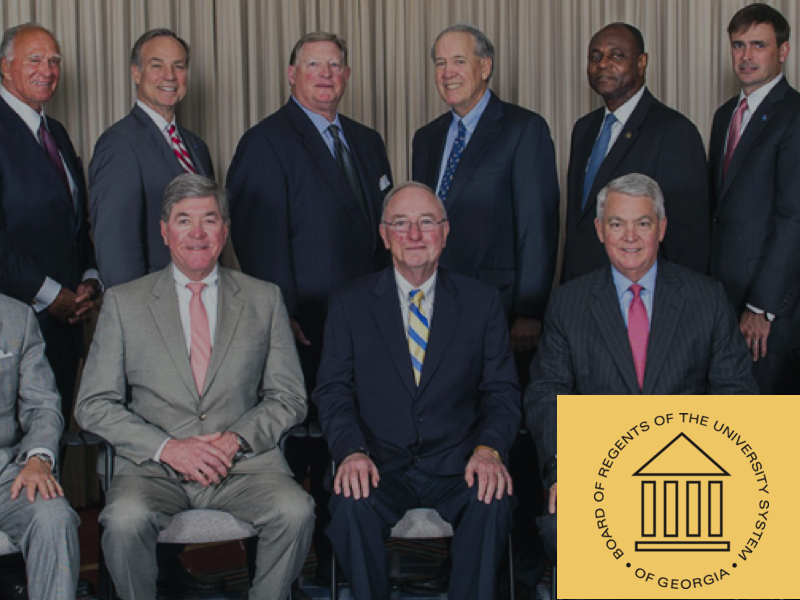 Fall 2016: The Regents of the University System of Georgia formally approves the OSE program.